It doesn’t matter how many years I have been teaching, the back to school section, the feel of fall in the air, and the smell of new books always brings on the same anxious feeling I had as a child as school was about to begin. If, as a veteran teacher, I am still getting these feelings, I KNOW that many children are just as anxious about their first day of school. 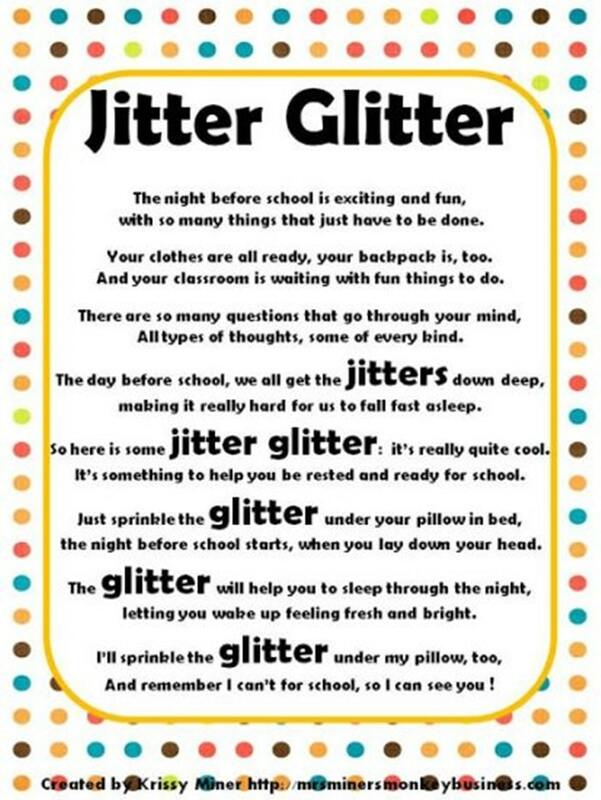 I always read the book First Day Jitters by Julie Danneberg as the perfect follow up to sending the Jitter Glitter. It is the cutest book about being nervous for the first day and, although you think it is about a child’s first day of school, it ends up that it is actually the teacher who was so nervous. 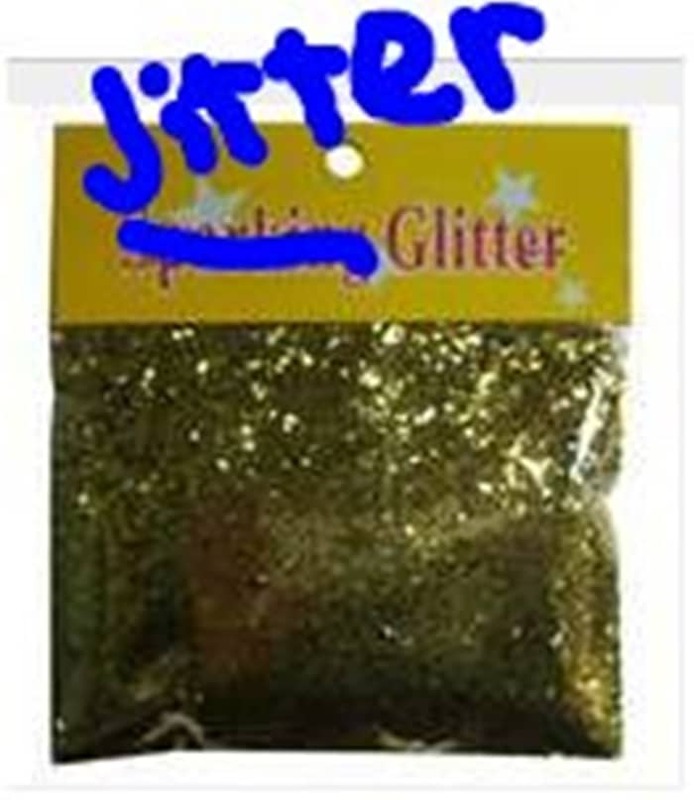 We always laugh and say that she needed to have some Jitter Glitter like us! The glitter in my hair on the first day of school is an incredible ice breaker. They love to see that I put the jitter glitter in my hair, too, and that I really might have been a little nervous, too. My name is Krissy and I am a K/1 teacher all the way up in Maine! I love blogging about ideas and creating materials that make the lives of teachers everywhere easier.